May 31, 2018 – Perhaps you can relate to this experience. While sitting in a ministry of health’s reception area waiting for a meeting with the chief economist, I couldn’t help but notice the heaps of papers and reports on his assistant’s desk. I presumed many of these were data-laden reports that needed to be filed. When I entered the chief economist’s office, I found that he, too, was encased in documents. On his large desk, innumerable stacks had been cleared to provide a small bit of working space. Behind him, a wall of bookcases was so tightly crammed with papers and reports that it seemed like a mighty feat simply fitting them all in, and I certainly wouldn’t want to ever try and pry one out for fear of never being able to wedge it back in. The reports — no doubt the product of costly data collection and devoted labor — were covered in a thick layer of dust. In a moment of complete cynicism, I wondered: Is this what my own health expenditure research is destined for? To sit on a shelf and gather dust? What are the challenges to making sure research is used? This experience is no anomaly. When I talk with colleagues and mention this phenomenon of glossy printed reports decomposing on shelves, they all nod and smile knowingly. The fact that many of us recognize this and yet continue working in the same way intrigued me. In further discussions, my colleagues raised three common challenges as contributing to unused reports. If the data isn’t needed, it won’t be used. This sounds so obvious, but too often we believe that data will magically be used once it’s made available. But this is unlikely if no one is even looking for or asking for the data in the first place. Data quality matters. If the quality of the data (or the reputation of the organization producing it) is at all in question, it won’t be used. We often put the onus on the decision maker. We expect decision makers to 1) find our lengthy, jargon-filled reports, 2) spend time reading and thoughtfully digesting all the technical information, and 3) pick out the one perfect figure that links to the decision at hand. This is unrealistic and wishful thinking! So, how can we change this to ensure that the data we produce also gets used? 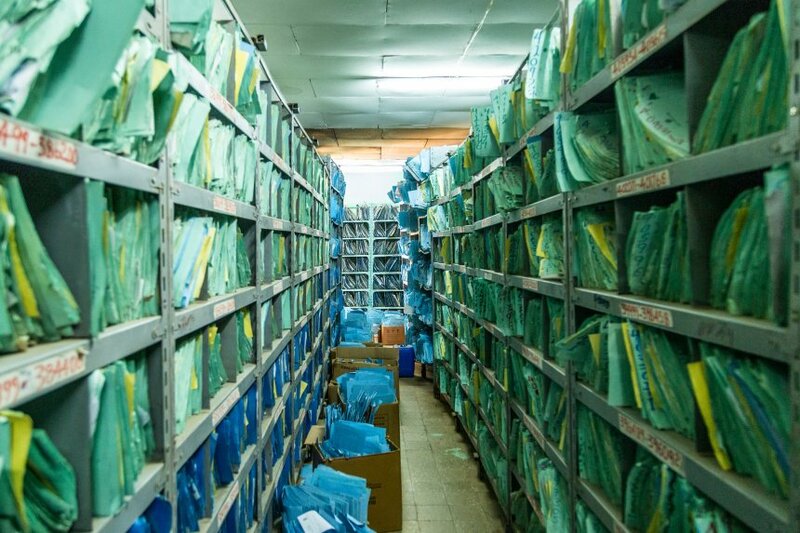 This question inspired us to take a closer look at what leads country-level decision makers to use data on health resource tracking, an area in which we work as part of USAID’s Health Finance and Governance project. We studied countries that have successfully used (or not) data in their health reform decision-making, and talked with country counterparts (like that chief economist I met with) to try to understand what piques a government official’s interest in data and leads him or her to use it. How can we change the fate of our data? Make sure there is a clear demand for your analysis. Help define the policy question and the data needs, and ensure consensus on these matters between the data producers and data users, for example through the use of a steering committee to engage key stakeholders from the outset. Produce a high-quality analysis. Invest in the technical capacity of the local analytical team and stick with a credible organization to produce the analysis. Actively promote the use of your data. Present the data in user-friendly, policy-relevant way, i.e. through policy briefs, or in conversation. Disseminate your analysis widely so it gets to the right people. Incorporate the data into performance indicators. The full results of our exploration are detailed in the current issue of the journal Health Systems and Reform How Do Countries Use Resource Tracking Data to Inform Policy Change: Shining Light into the Black Box and some key lessons: Beyond Production: Using Health Financing Information to Inform Decisions that Improve Health Systems.